Sometimes a thorough rug cleaning just isn’t enough to remove deep, strong rug odors, such as pet odors. Often pet urine and tobacco smoke saturates rugs in odor and rug cleaning can’t mask the scents. In such cases it is advisable to have rug odor removal performed at the time of cleaning, especially in the case of pet odor. It is hard to believe a rug is clean when it stinks of old odors. 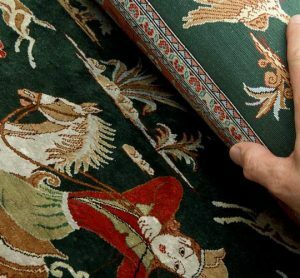 At the KIWI Rug Cleaning Institute, we offer Ozone Treatment where rugs are confined in an odor-neutralizing chamber for long periods of time. 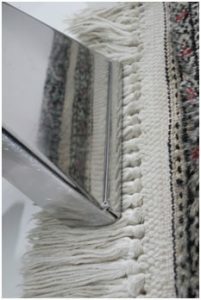 It enables us to remove some of the toughest rug odors. Pet odors can be a very serious problem for your rugs. KIWI specializes in removing pet odors, so if your beloved pet has had an accident on your rugs, do not worry, KIWI is highly equipped with our Ozone Treatment to get rid of any pet odors. We offer free pick up and delivery on all of the rugs we clean, so we will come to you! KIWI can also get any pet odors out of your carpets as well, so if you need carpet cleaning, do not hesitate to give us a call.